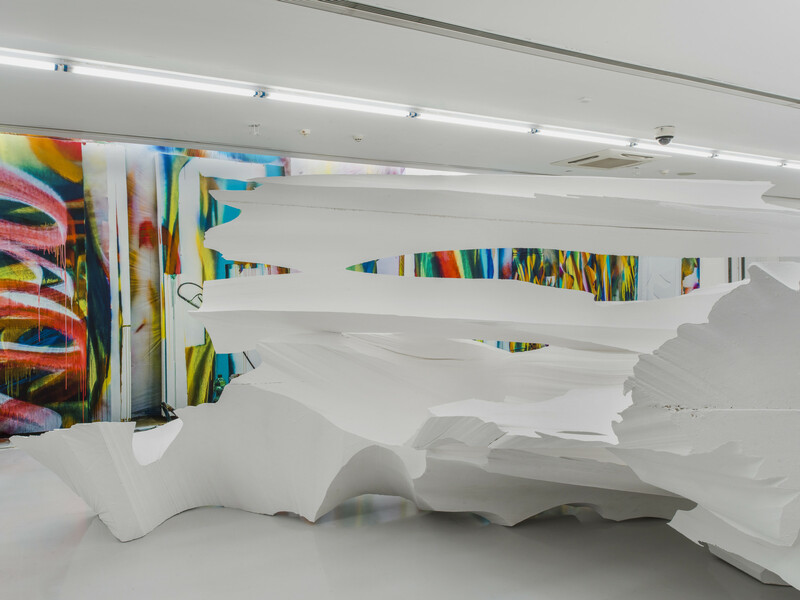 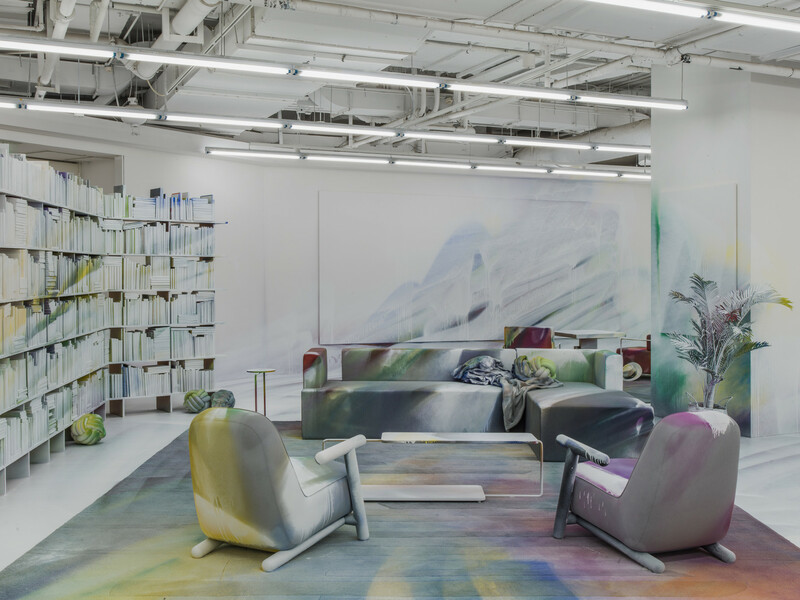 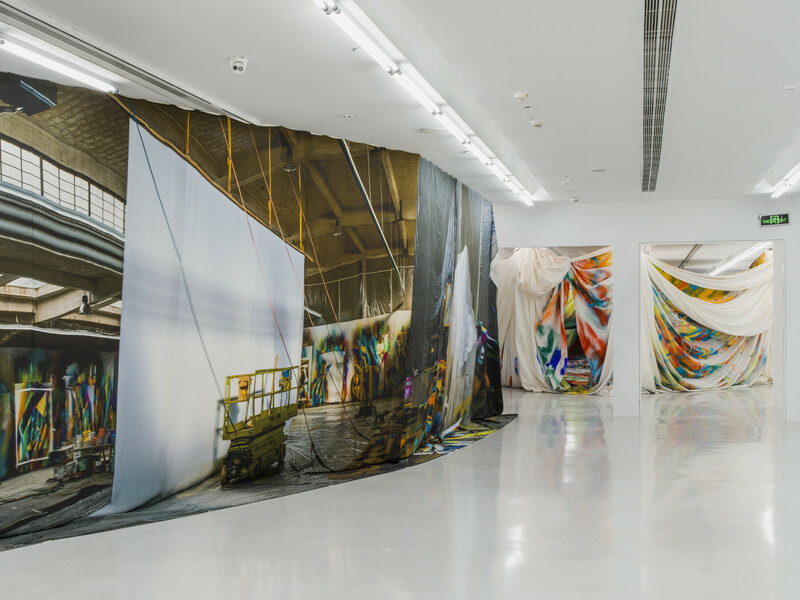 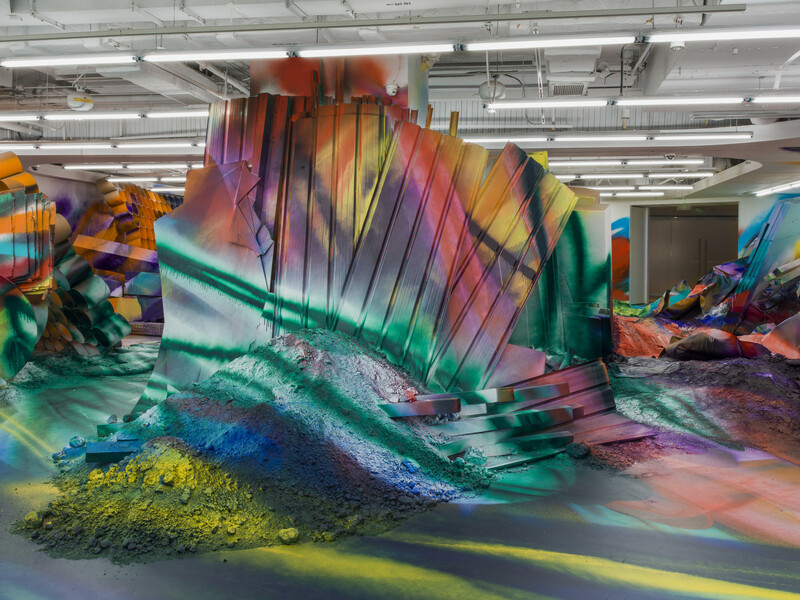 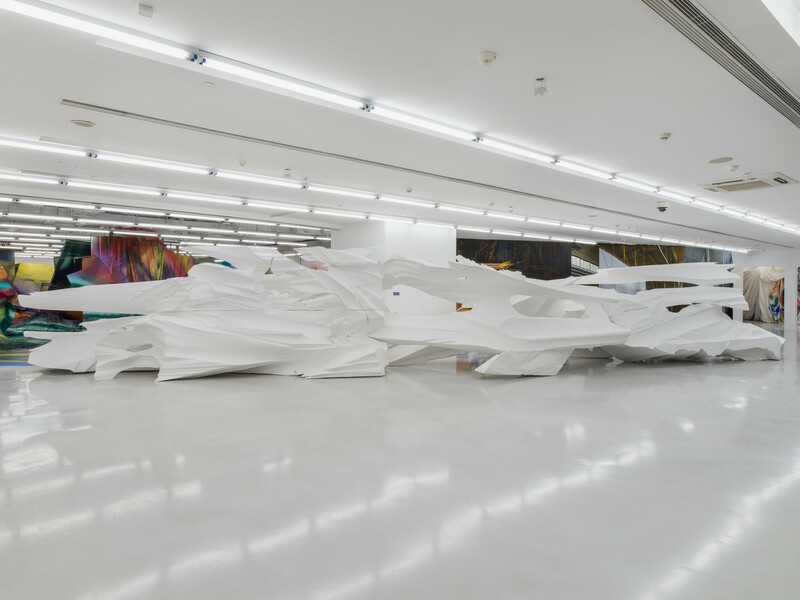 K11 Art Foundation (KAF) and chi K11 art museum are delighted to present Mumbling Mud, internationally acclaimed German artist Katharina Grosse’s first solo exhibition in China. Using the spray gun as her primary painting tool, Grosse has applied variegated swaths of paint across the walls of exhibition spaces, her own bed, an entire house and its surroundings, and arranged objects such as piles of soil and tree trunks to create large-scale site-related paintings. 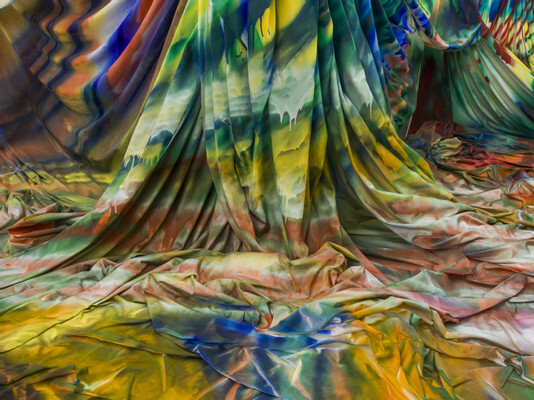 She has thus been able to liberate the application of paint from its immediate connection to both the painter’s body and any predetermined surfaces of the Western painting tradition. 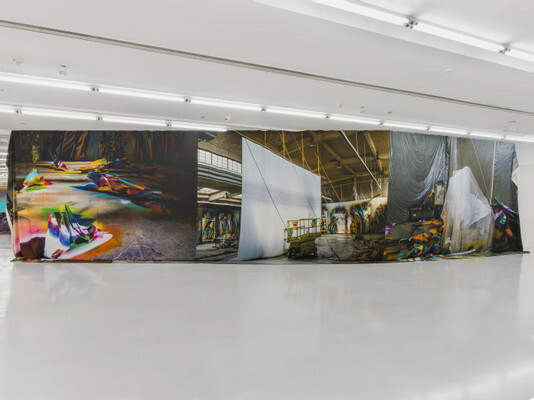 With colour, she traverses the established borders between objects and architectural settings, and ultimately offers models for imagining reality in ways previously unconceived by semiotic conventions, hierarchies and social rules. 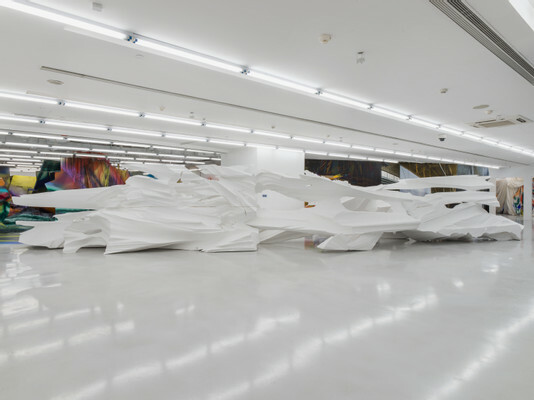 Divided into five zones at chi K11 art museum, Mumbling Mud leads visitors through an immersive, labyrinthine passage. 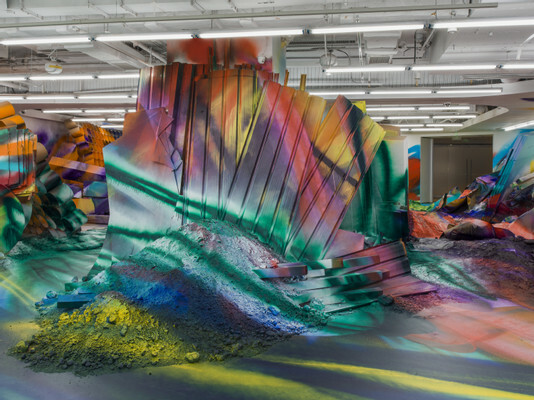 Upon entering the first zone, they immediately find themselves surrounded by a constructed landscape made up of building materials and piles of soil, all covered with colourful paint. Spectators are invited to meander through the five zones by following the painterly traces that Grosse left when she worked her way through the museum. 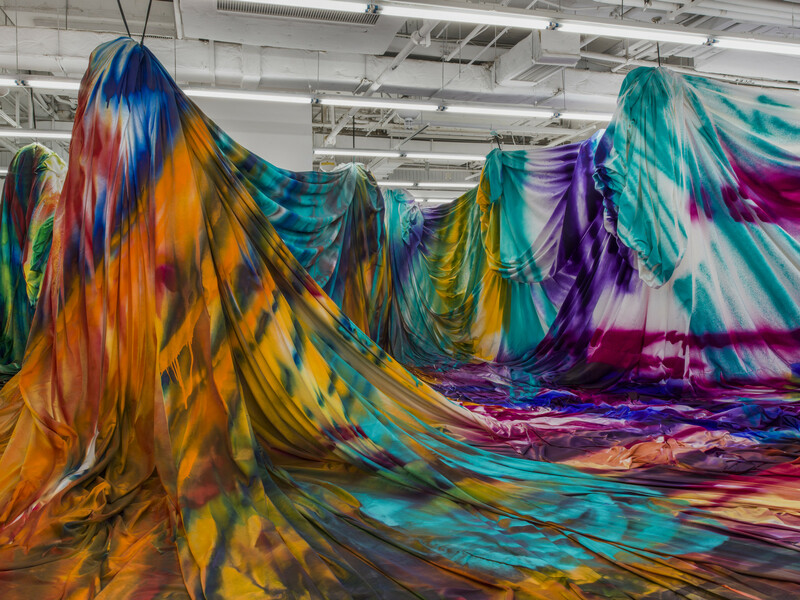 The amorphous, multicoloured forms and shapes sprayed across the varying structures and draping cloths installed at the museum may also create an experience of wandering on the peripheries of the familiar, inviting rumination into the quintessential strangeness of a metropolis that is ever-changing and impossible to be delineated in simple contours.